The Tauer attar speaks in Arabian language; it is undiluted perfume oil and needs the skin’s warmth to bloom. The fragrance is dark, leathery, animalic. Creamy sandalwood from Mysore balances an arab wood accord. Jasmin absolute from Egypt adds a floral undertone. Earthy vetiver oil from Java and black cistus oil from Spain add to the arcoamatic aura of the attar. The Tauer attar blooms and lasts on skin but follows the tradition: An attar always comes with an element of modesty. Attar AT bottle and packaging. Source: Luckyscent. “I was invited for tea in the Saudi desert one fine evening, sitting together with perfume lovers and friends. We discussed the world of oudh and attar. We talked and smelled and watched the sun hiding behind the dunes. I will never forget. Animalic leather, birchtar, Java vetiver, dark dry woods, sandalwood, hints of Jasmine, cistus, and castoreum. Attar AT opens on my skin with tarry, blackened birch leather infused with campfire smoke, menthol, camphor, charred woods, smoky vetiver, and a touch of honeyed sweetness. The background rustles with quiet murmurs of the vetiver’s mint, moss, green leaves, and grassy aromas as well as patchouli-like damp earth. There is also an occasional hint of creaminess weaving about there, though whether its floral (jasmine) or woody (sandalwood) in nature is impossible to tell. 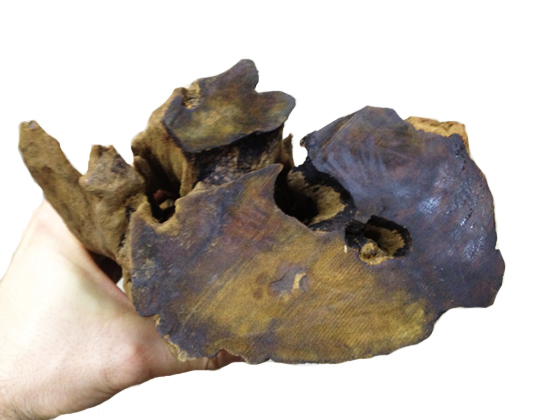 Kyara or Kinam agarwood. 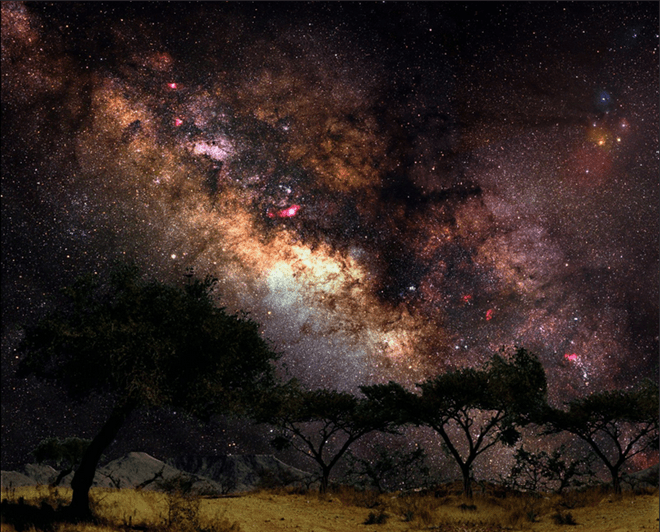 Photo: Ensar Oud. What’s really nicely done here is the way that each of these notes is clearly derived from a separate and particular source and, yet, when taken as a whole and sniffed generally, they form a composite picture of authentic, genuine oud. Depending on the varietal and its terroir, agarwood oleoresin manifests many or all of these individual aromas. (See, Ensar Oud Part I and Profile for an Oud 101 and information on its oleoresin, terroir, and the ensuing differences in scent.) A single type of oud or even a single piece of wood has the remarkable ability to reflect as many as ten to twenty different aromas, sometimes even more, when distilled by a master. 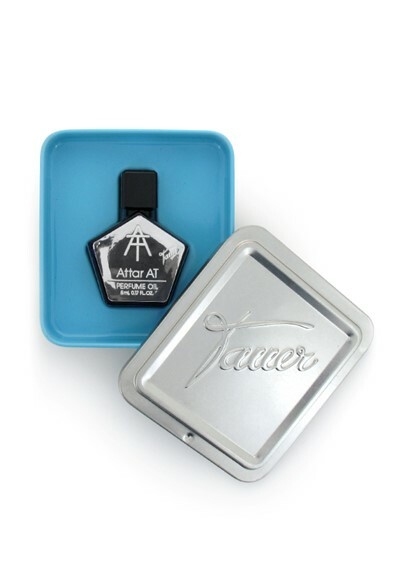 Tauer’s Attar AT paints a portrait that, like Seurat’s Pointilist “dot” paintings, amounts to “oud” when looked at (or smelled) from afar but which clearly separates upon a micro-perspective viewing into “leather,” “vetiver,” “birch,” and so on. Like many oud oils and oriental attars, Attar AT changes slowly and in incremental fashion. Roughly 10-12 minutes in, the musk arrives, smelling like warm skin layered with dark fuzziness, castoreum, and the merest hint of something animalic. At the same time, the smoke levels rise. Its aroma is tarry, like the Tauerade creosote, but it is also a wee bit industrial, like a burnt electrical cord combined with soldering equipment in use. It’s difficult to explain and it’s nothing so strong, powerful, or concrete as the soldering/industrial note in Lonestar Memories, but there is a burnt electrical vibe there nonetheless, a whisper buried amidst the campfire smoke and tarry leather. It was enough to give me a headache after just ten minutes, although you all know by now my sensitivity to certain materials or synthetics. The other notes vary in their prominence during the first hour. The vetiver constantly waxes and wanes. The jasmine is imperceptible except for an elusive, ghostly whisper of sweet floralcy in the background. Even when it does appear, it’s an intangible suggestion more than a solid, clearly delineated note. Ensar Oud would probably categorize it as a “micro-facet.” In contrast, the patchouli-like earthiness and the vetiver’s grass and wet leaves secondary facets are stronger, persistent, and constant. Even so, they’re never major players on center stage. They remain on the sidelines, like the dark musk. For most of Attar AT’s first hour, the limelight is reserved purely for the birch leather, tar, smoke, charred woods, and smoky vetiver. Roughly 75 minutes in, the order of notes changes. I’d estimate 85% of the bouquet now consists of charred woods, wood smoke, and vetiver. The leather, tar, and musk recede to the sidelines; the jasmine, the sweetness, and that miniscule whiff of industrial soldering all disappear; and the scent turns drier and more austere. The result no longer mimics the traits of oud; for me, this is now almost entirely a Western-style composition centered primarily on vetiver, woody, and smoky elements with a quiet, underlying subtext of dark, musky leather. It’s too dry and smoky for my personal tastes, I’m afraid. I don’t know whether there is some sort of extra-dark woody-amber cedar in the base, but something in there has turned my headache into a full migraine. Attar AT remains a mixture of blackened woods, smoke, and smoky vetiver for hours, changing only sporadically in its minor nuances. In that sense, its development is much like a medical flat-line which has minor, periodic squiggles up and down every once in a while. Let me say that there is nothing wrong with either simplicity or linearity if one likes the notes in question; some of the most enjoyable, easy-to-wear fragrances are fundamentally simple in both their nature and their development. One of the subtle changes here occurs at the end of the 3rd hour when all lingering traces of the leather disappear. At the end of the 4th hour, a creamy softness appears in the base. It’s neither floral nor ambered or sweet but, rather, a rough amalgamation of all those things fused together and presented in an abstract, muted fashion. I appreciate how it helps to take the edge off some of the smoke. Another minor change which occurs at the same time involves the vetiver: it starts to emit a minty quality within its smokiness. Attar AT’s long drydown begins in the 6th hour. It’s a simple bouquet of minty, smoky woods with a hint of woody creaminess running underneath. The latter fades away roughly an hour later, leaving only smoky woodiness. 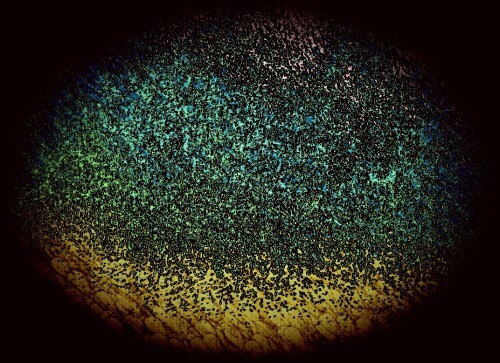 There are occasional flickers of something minty and musky lurking in its shadows, but they, too, disappear over time. In its final two hours, Attar AT is merely a whisper of wooded smoke. While Attar AT doesn’t suit my personal style (or my Tauerade sensitivities), I think it’s nicely done and will appeal to quite a number of men. In its first hour, each note carefully plays off the others to form a cohesive, harmonious whole, and that “whole” clearly reflects an excellent understanding of both genuine agarwood and its various olfactory facets. Even though the fragrance is simple and straightforward, particularly from the second hour onwards, what strikes me throughout is how it conveys a butch but clean masculine, and I don’t mean “clean” in an olfactory sense. This is masculinity with a calm, self-assured, confident nature. There are no frills, rigmarole, or folderol, nothing showy about it. It’s a masculinity that needs to prove nothing, that doesn’t have to shout to make either its character or its presence known. It’s the sort of fragrance that I could easily see a certain type of man dabbing on as the perfect reflection of his inner self, a man who is a no-nonsense, solid, dependable, and down-to-earth, a man whose toughness is never (ever) in your face but, rather, a quiet, innate part of who he is. Wearing Attar AT, I thought nonstop of an ex-Navy SEAL I follow, Mike Ritland of Trikos International. 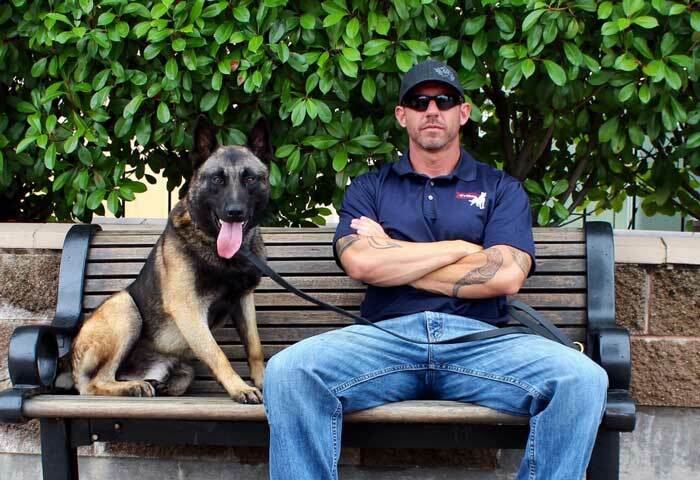 He went from active duty to the top level of being a BUDS instructor before retiring to train elite canines for the military, special forces, and Department of Defense, as well as $100,000 personal protection dogs for celebrities and CEOs. (You can read more about him and his work in Town & Country magazine and Imminent Threat Solutions if you’re interested.) He is a large, muscular, affable man (who could probably kill you with his fingertip if he wanted) whose passion is for helping military veterans suffering from PTSD and rescued/abused dogs, both of which he gives a new lease on life. On his Facebook page, he is approachable, kind, responsive, empathetic, and incredibly down-to-earth, a t-shirt and jeans sort who plays hard rock on his guitar, drinks Tennessee rye, has a dry sense of humour, and a no-fuss approach to life. There is not a single thing he does that is intended as a statement of masculinity and, yet, everything about him is as masculine as can be. Much like Attar AT. Some fragrances evoke the smooth, polished, sophisticated masculinity of a movie star like Cary Grant or the in-your-face, super-tough machismo of Clint Eastwood, but Attar AT evokes Mike Ritland for me, the most elite of elite Navy SEALS, and a man who radiates confident simplicity and soft-spoken toughness. It’s him in a bottle — and I mean that as a compliment. Masculine? Yes. I’d even go so far as to say that this is super-macho, especially during the first couple of hours when the leather is blazing streaks across the sky. Attar AT is more evocative (for me) of the landscapes of the American West than of the deserts of the East; something about it celebrates the good-natured but tough manliness of the men who had to conquer large stretches of the American West on horseback, hungry and alone. Attar AT is reasonably priced. It costs $89 or €79 for a small 5 ml bottle. Like all attars, a little goes a long way, so 5 ml is more than it sounds, particularly for the richness and longevity that you get from a single drop. If you love dark, smoky, woody, masculine fragrances, I strongly recommend that you try Attar AT. 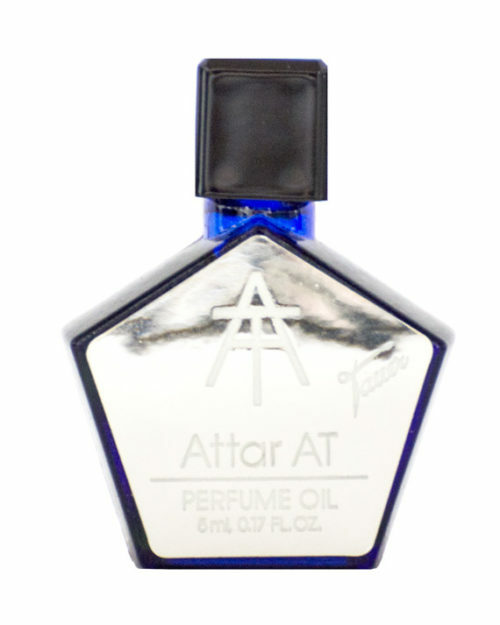 Cost & Availability: Attar AT is a perfume oil that comes in a 5 ml bottle and costs $89, €79, or CHF 89. You can buy it from: Tauer Perfumes, Luckyscent, First in Fragrance, Essenza Nobile, ParfuMaria, and Italy’s Alla Violetta. London’s Les Senteurs normally carries the Tauer line but I don’t see Attar AT on its site at the time of this post. Russia’s Spell Smell is sold out. Samples: Many of the sites listed above usually sell samples but not in this case due to the size of the full bottle. However, Surrender to Chance has Attar AT starting at $8.69 for a 1/4 ml vial if you want to test before purchasing. This entry was posted in Attars or Middle Eastern Fragrances, Perfume Review, Tauer or Tauerville Perfumes, Vetiver Fragrances, Woody Fragrances and tagged Andy Tauer attar, AT attar review, Attar AT review, Tauer attar, Tauer Attar AT, Tauer Attar AT fragrance review, Tauer attar review, Tauer Perfumes, Tauer Perfumes attar by Kafkaesque. Bookmark the permalink. Ciaoo c’est Cele super article comme toujours tu es la meilleure !! il a l’air intéressant j’ai presque envie de l’acheter !!! Je pense que ça t’ira bien, Cele. Pas compliqué et pas puissant en sillage, mais tout à fait ton style et goût dans ses olfactifs. I purchased a split on BN and love it. I think I am going to buy a full 5 ml bottle. I got one of the samples previously sold on his website, and my experience is relatively close to yours and Claire’s (with less jasmine). While it’s certainly well made, I was not touched on a personal level. It’s not as melodic as a few Sultan Pasha and The Rising Phoenix Perfumery attars that I recently tested and was subsequently blown away by, but more muscular and kind of stuffy. While it fits within his perfume style and I enjoy many of his fragrances, AT turns out to be a bit of a let down due to my unintentional comparison with SP and TRPP attars. I got two of the little 1 ml roller balls when they first came out. I got them directly from Tauer . You don’t pay shipping ,or any of that. Andy is a super cool guy. So weird when I first smelled it . I kinda reminded me of the ash Wednesday smudge . I always say yes, but make sure mines burnt. Excuses me, did you say burnt . Yes, burnt . Oh , you mean brown it . No, burn it. Here give it to me . I just went out for a steak today . I have to explain to them on how to burn it. Don’t put a press/weight on it. Cover it with a pie tin, and spray underneath with oil . Not today, but at another place I had ordered, I heard the cook freaking out to the manager about the BIG FLAME . That’s why you use an upside down pie tin or something . I don’t need to though. You could burn some nice marshmallows with a flame like that. I like this attar, not for every day use,but now and then. Oh, I did sub and bell the You Tube channel you mentioned. Hope your having the very best of holiday. I’m afraid I don’t understand. Also, what does “sub and bell” mean? And to what YouTube channel are you referring? I never talk about YouTube channels. When you click (Imminent Threat Solutions) , there’s a VIDEO link. It goes to (You Tube) . Sub is the same thing as follows ; a subscription to a channel . There’s a little bell on peoples channels once you subscribe to that channel . It allows you to get notifications when the channel uploads . A number of years ago when you subscribed to a persons channel, you would automatically get notifications . This resulted in dropping channels ,for you get way to many notifications . Then You Tube added turn off notifications .Turn off , just the thought sounds negative .So , they came up with something that didn’t sound as such , the bell system . The bell system means you can pick and choose who you wish to get a notifications from , belled . It’s worked out well for You Tube. People now try to comment first, get the most thumbs up on their comments on a video , etc. I like it for I get notified from reviewers on new releases , GiveAways , channel discounts, specific codes for channels, the list goes on. I hope they don’t change this formula to much. Hopefully that explains sub and bell . The other, to much coffee , not enough sleep . Sorry for that. I like burnt things. You have such a deep knowledge of this style of perfumery I was very curious to hear your take on it. I’m glad you liked it. Thank you, Mark. I’d actually been meaning to send you an email to thank you regarding the Areej post and links, and to chat about Oud a bit, but I’m afraid all my free time is currently spent dealing with my German Shepherd’s health crisis. So, please accept my thanks here and, when or if I get the Hairy German’s medical situation under control, I’ll send you a note to chat a bit about artisanal oud, if you’re interested. I look forward to hearing from you; only when you have the time. Our dogs are family and first priority; we share that.